Upper Darby, PA – The Vasilopita cutting ceremony continued through our Greek community. The latest stop, the Pontian Leschi, home of the Akritai, where members gathered for the afternoon. 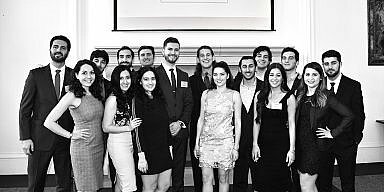 Led by Ifigeneia Pavlidou-Ikonomou, the President of the Akritai, Pontians both young and old shared the annual tradition. Two Vasilopita cakes revealed two Lyra’s that were won by Athena Putros and Paul Bouikidis. The annual tradition kicked off with a meeting. All eyes and thoughts were focused on the upcoming Greek Independence Day Parade, that will be themed around the Pontian Genocide that commemorates it’s 100 hundredth anniversary. 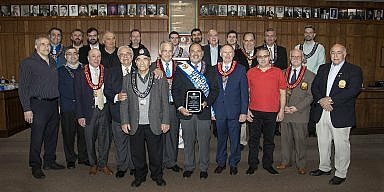 The Akritai will play a critical role in the affair that will feature longtime member Cary Mossaidis as the Grand Marshall and eighteen members of the Akritai that will be honored and ride a float during the parade. Parade details are still being worked out. 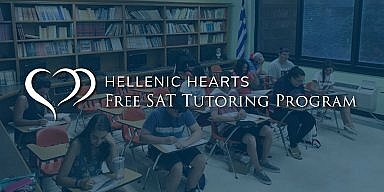 The Federation of Hellenic American Societies is working at closing the date so that organizations can make final preparations.